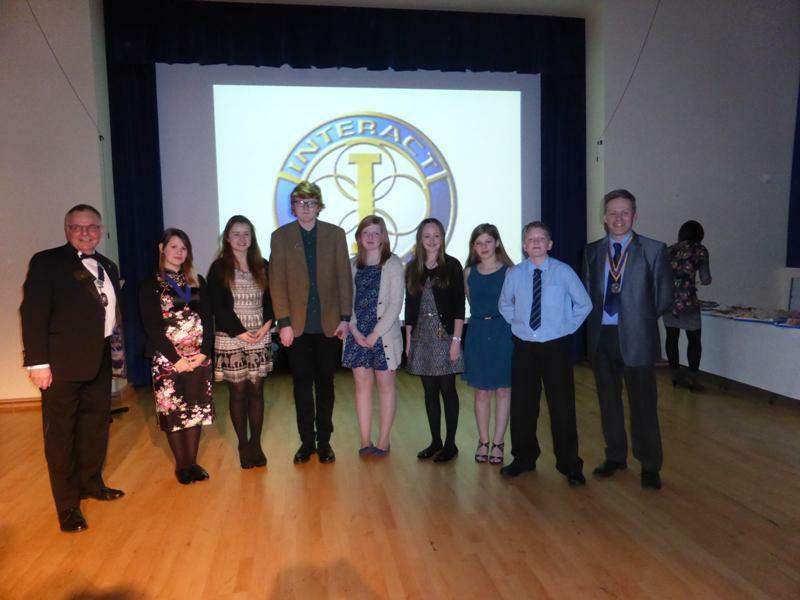 The Charter of the first known Interact Club in Cumbria was on 7 February 2014 at Caldew School, Dalston, Carlisle. District Governor Kevin Walsh presented the Charter certificate and regalia to Mikaela Dawson the founder President of the Interact Club. Rotarians from Rotary Club of Carlisle Castle who have sponsored the Interact Club including their President Andrew Bailey attended. Head Teacher Chris McAree, Lead Teacher Anna Kirkby, other staff, plus parents and friends were also present for this special event. It was followed by a buffet, then entertainment by Brian White from the Rotary Club of Carlisle South.